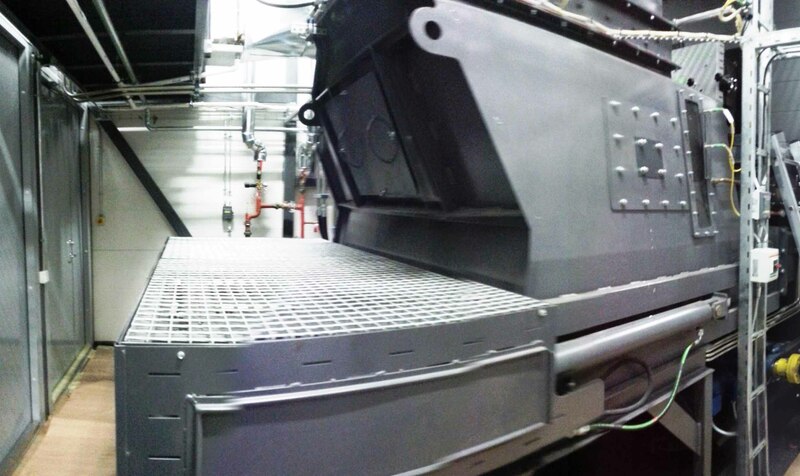 Bio Mobitek designs, produces, and installs conveyors of all types: chain scraper, screw, tape. 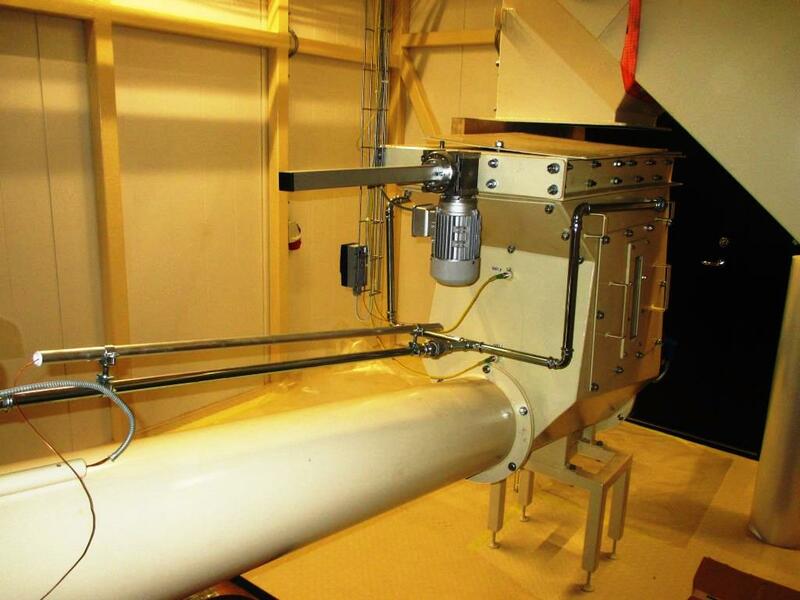 Conveyors are used in order to move solid bulk and wet materials. 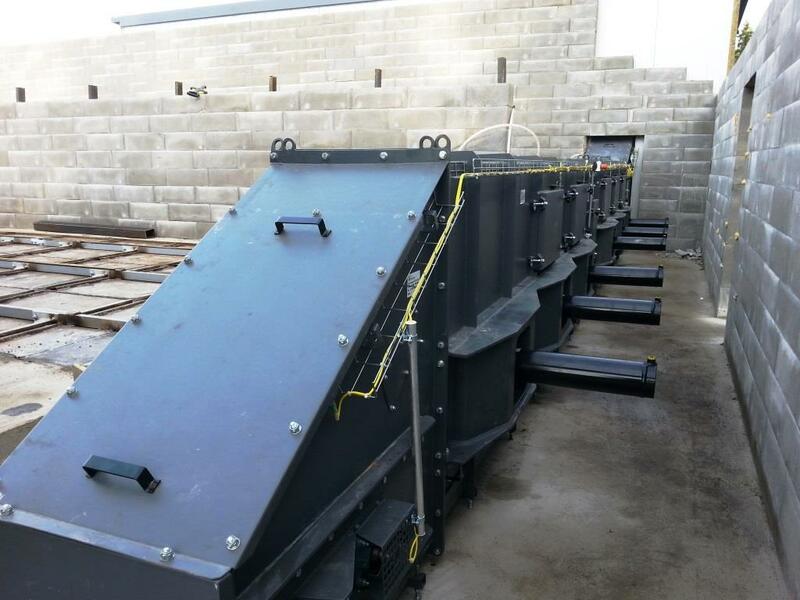 Scraper tape or screw conveyors (screws) suit for even supply. 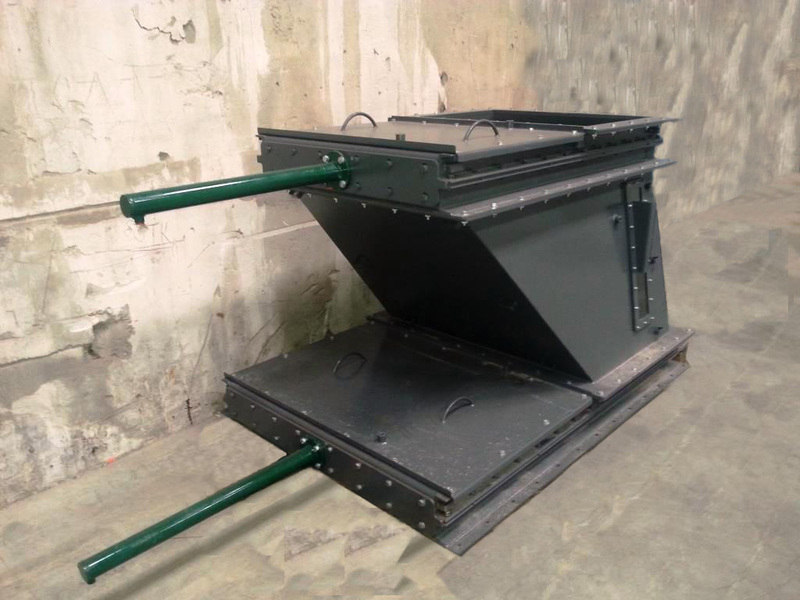 Scraper conveyors suit for transportation of coarse fraction materials over long distances. 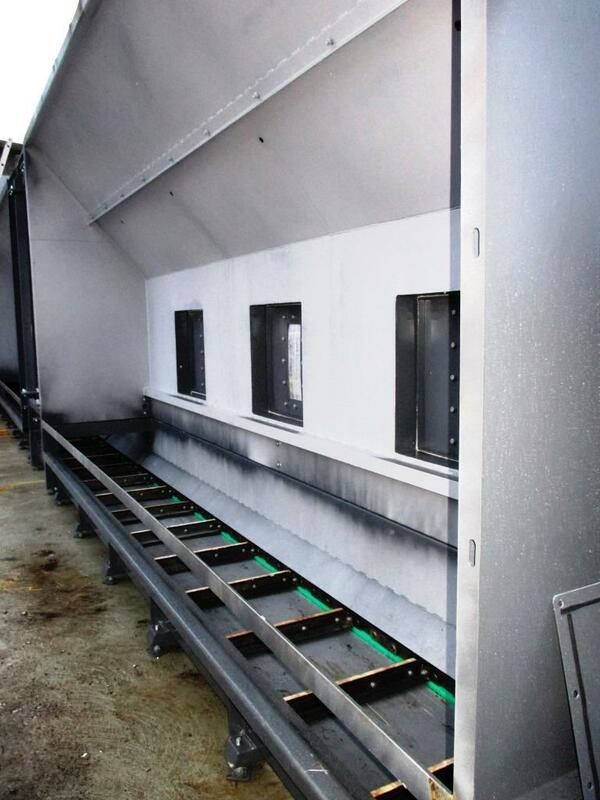 Each conveyor is selected individually, taking into consideration storage remoteness and type of fuel. Conveyor is equipped with rotation indicators, indicators displaying presence of large pieces of fuel, fire-extinguishing system, and emergency stop system. There is a chain inside the conveyor, the dimension of which is chosen, taking into consideration conveyor capacity. 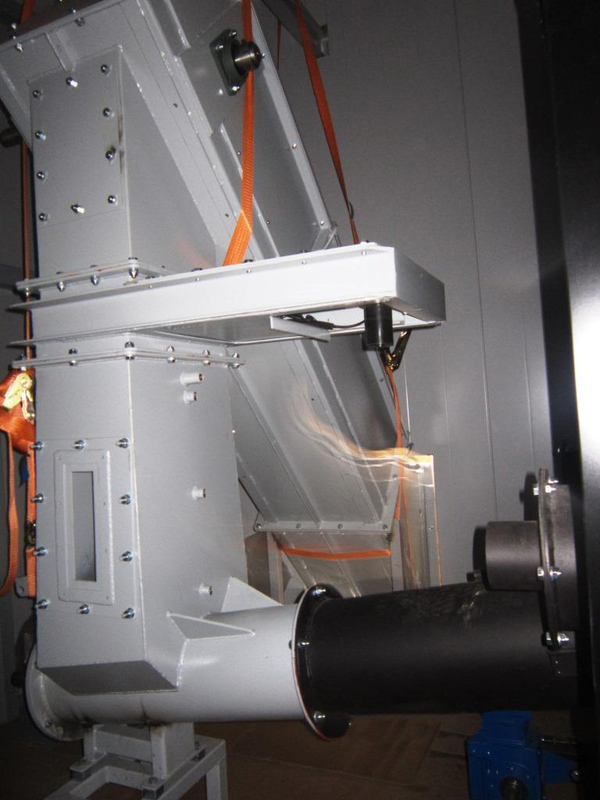 There are two chains in the conveyor – right and left. Scrapers from steel angle are set between them. Load-carrying element of the scraper is water-resistant plywood. It is easy to replace plywood scraper if it is worn; it is additionally an environmentally friendly material. Steel sprockets, made of wear-resistant alloy steel, move the chain. 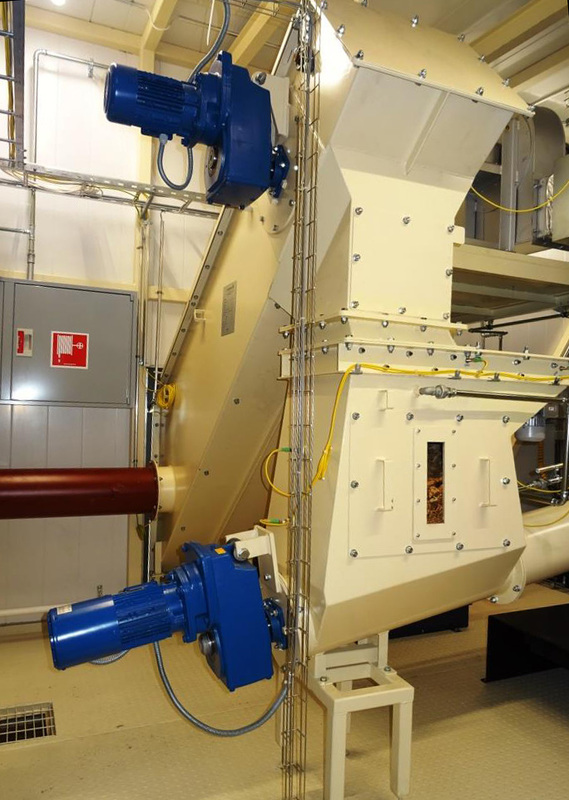 Bio Mobitek installs powerful gear-motors of high quality, which ensures long service life of the conveyor. 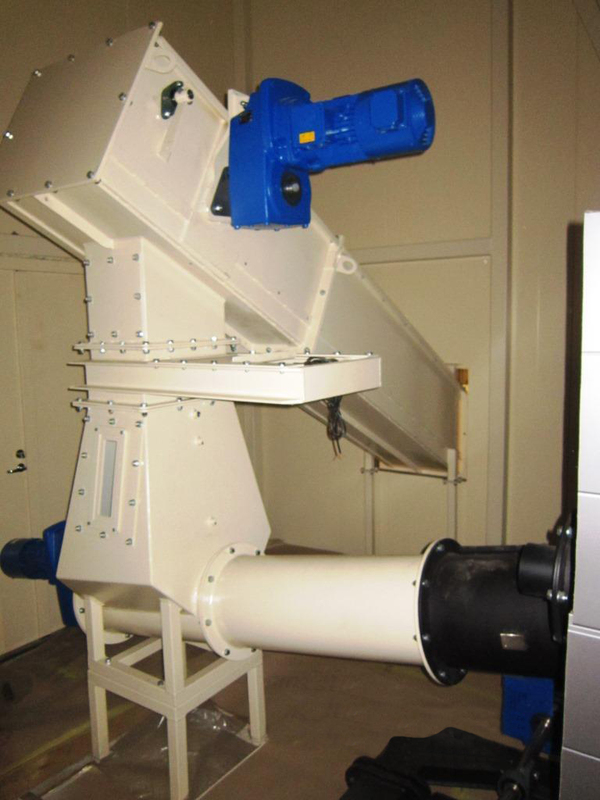 Screw conveyors (screws) are used in case of small distances in case of transportation of powdered, particulate and bulk materials and also for supply, dosing, and mixing materials. 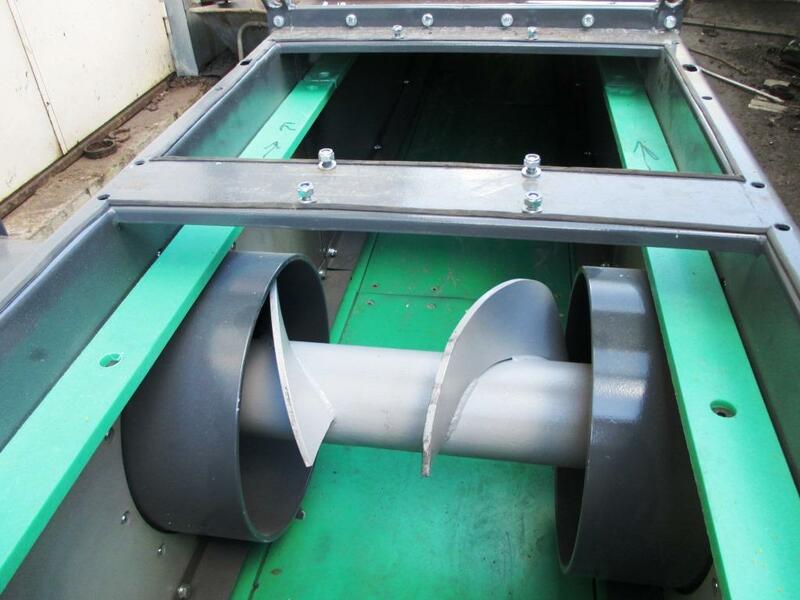 Amongst the range of screw conveyors, there are conveyors with shaft, without shaft, or so called double volute conveyors. 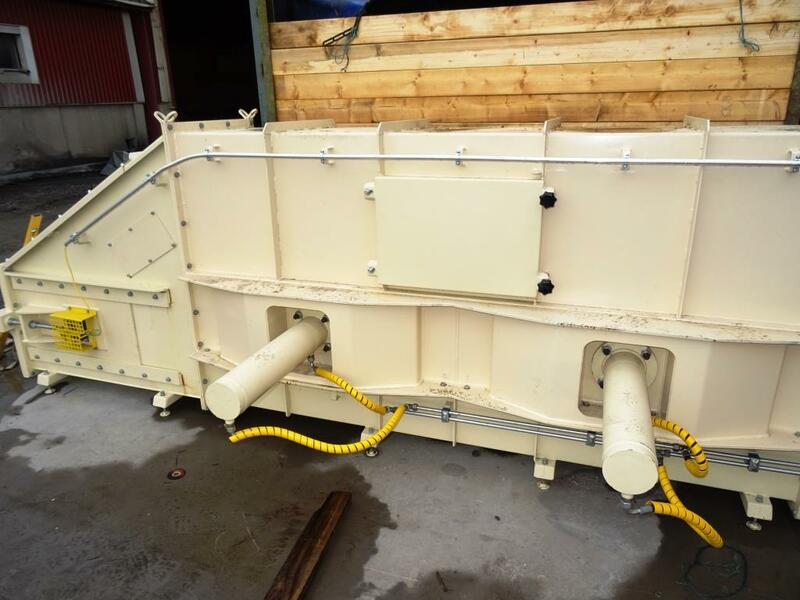 Their diameters can be from 90 up to 600 mm, they can have different places of loading and unloading and they are produced at different angles. Length – from 0,5 up to 12 meters. In order to transport adhesive materials and materials with high moisture content, so called double volute conveyors are used. 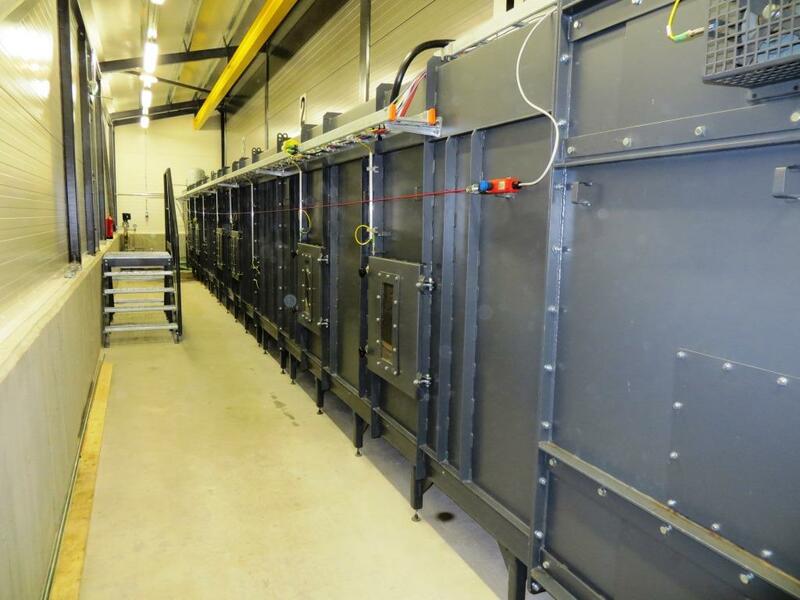 Additional cooling and heating of the equipment is possible. In order to ensure normal operation of scraper or screw conveyors, the equipment is equipped with rotation indicator or blockage indicator. In case of malfunction, an error signal is provided to the operator via GSM or via Internet. Feeders are used in order to supply fuel into the burner into the combustion zone. 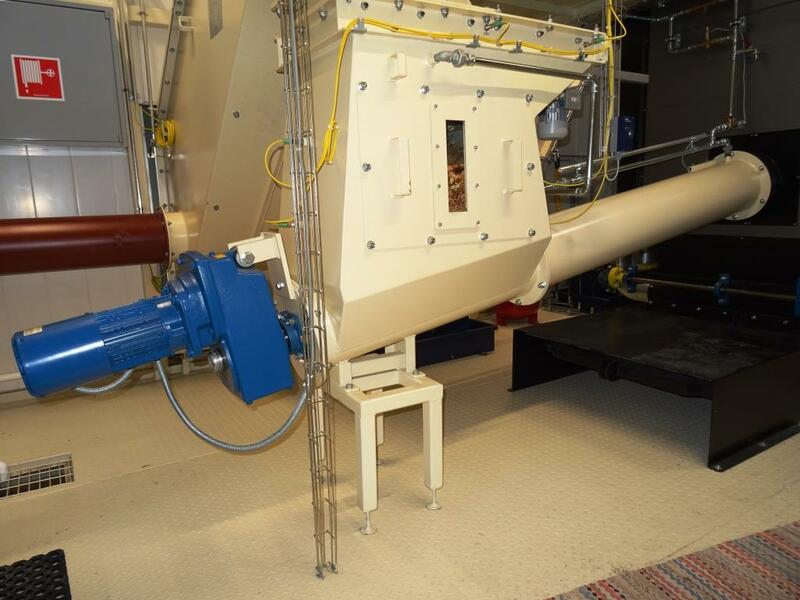 Feeder is connected to the conveyor via guillotine, which is used as fire protection. 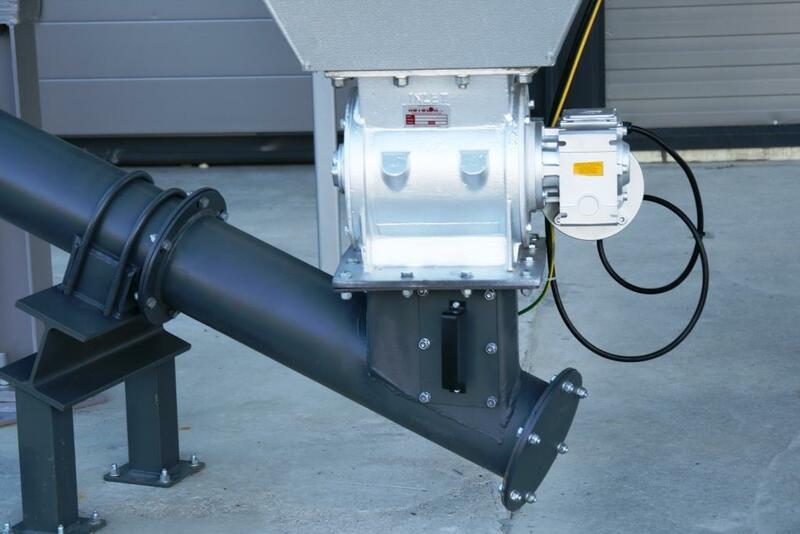 In case of low output, Bio Mobitek uses screws of different diameters as feeders. 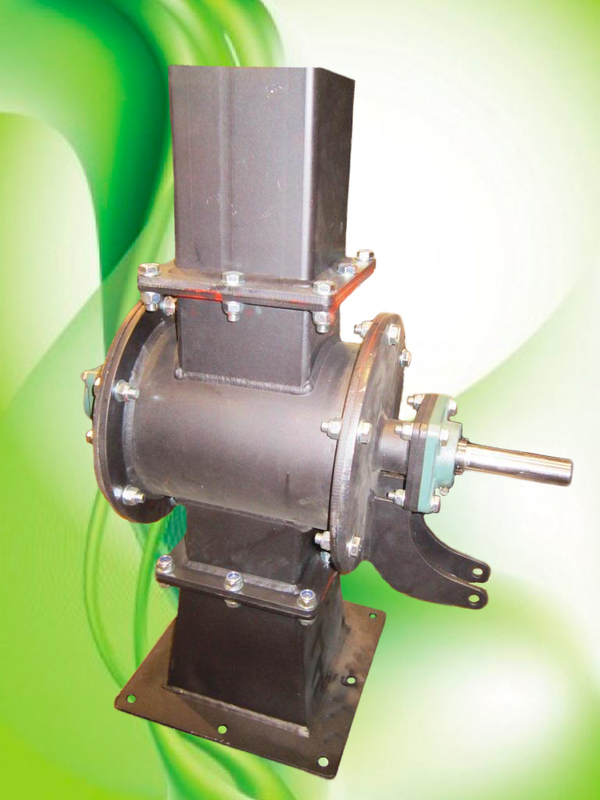 Screws are actuated by gear-motors, which are selected according to screw diameter. Screw continuously rotates at speed, which is set by the automation. Automation monitors the combustion process and amount of supplied fuel. Screw is equipped with mechanic fire-extinguishing system, which will activate even if there is no electricity. 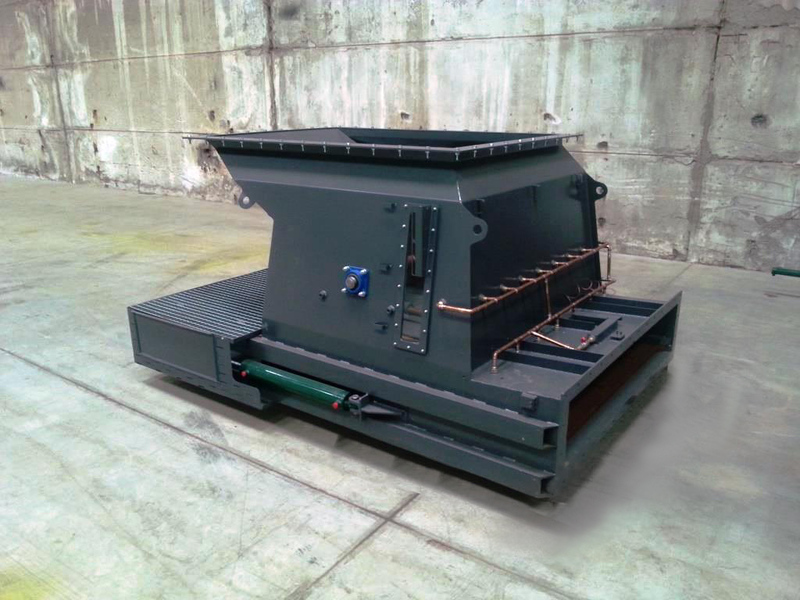 Hydraulic pusher — is used with boiler installations from 3 mW. 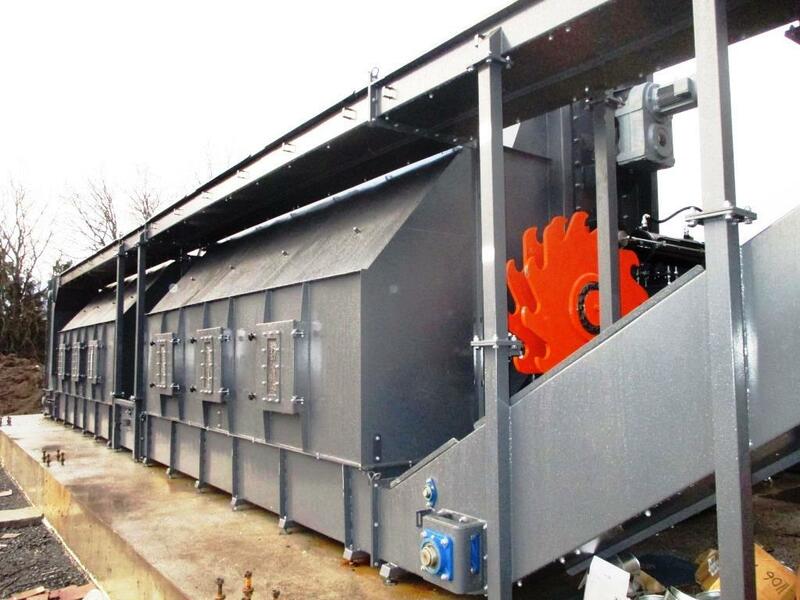 Advantages of hydraulic pusher — even fuel supply along the whole width of the burner. 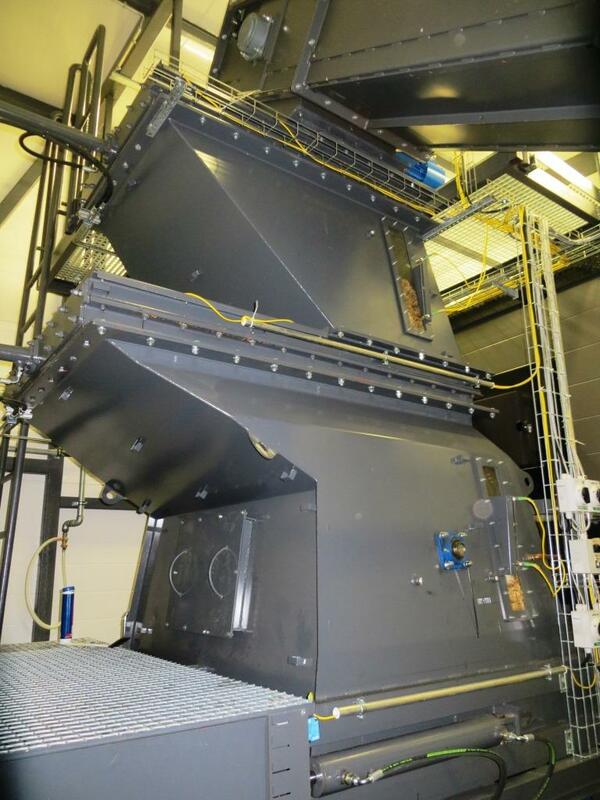 Chamber of the hydraulic pusher is divided with guillotine by height into 2 zones. Further, they are opened and closed by given automation, ensuring fuel supply directly onto the hydraulic pusher. Pusher is actuated by two hydraulic cylinders. The chamber of the hydraulic pusher is equipped with mechanic fire-extinguishing system, which will activate even if there is no electricity. Rotary shutter is used in order to enter powdered or particulate material of fixed volume and transport it in closed environment. 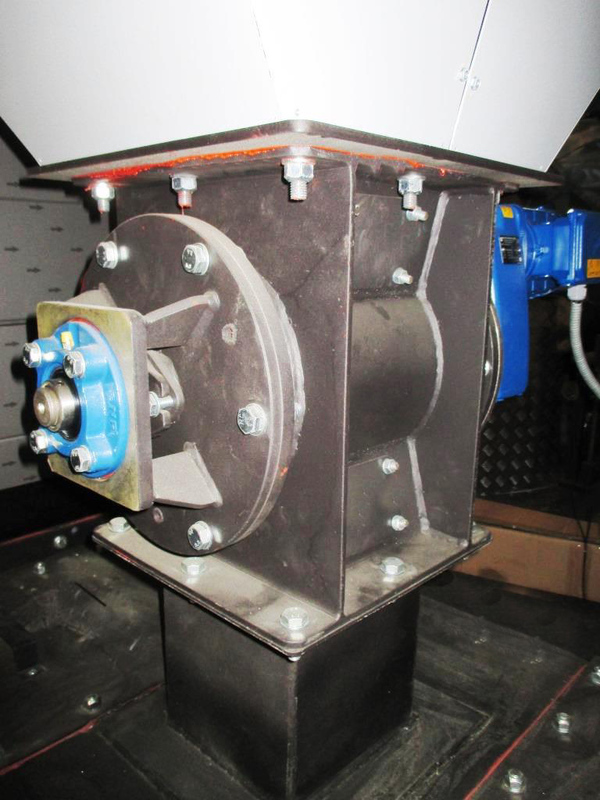 The equipment is a widespread transport solution in energy, chemical industry, and production of consrtuction materials. The equipment operates as air, gas, flame or dust lock. Rotary shutters have several options depending on used material, processed volume or operating temperature.